It is important to establish proper letter formation habits early. We practice letter formation with our Letterland program at school. 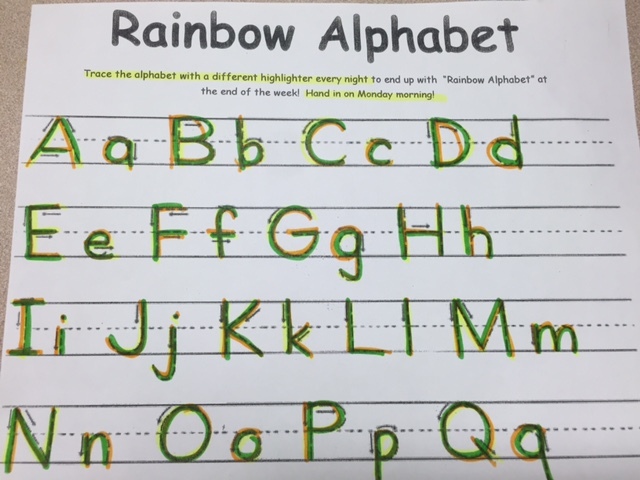 You can support us at home using the Rainbow Alphabet practice page. We will send home the practice sheet. 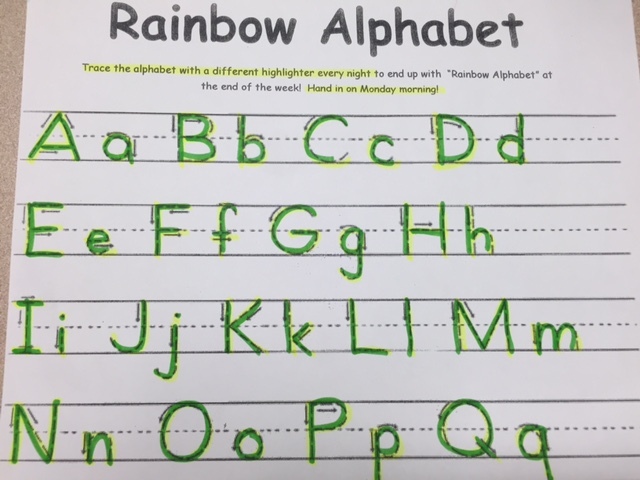 Please have your child complete the handwriting practice for all (capital – big)/ (lowercase – little) letters and numbers by using 1 color a day. On Monday, when they have returned their practice sheet they should have 5 different colors on each letter/number. For example, Monday, your child can use the color yellow to trace every letter and number. On Tuesday, your child can use the color green to trace every letter and number. On Wednesday, your child can use the color orange to trace every letter and number.